Even the most jaded industry pro will remember (if they’re old enough) the InfoComm show in Philadelphia in 1996. As it happens, that was the first InfoComm that I attended, and it kind of spoiled me for drama—at every show after that, I always expected to see an unveiling of a technology platform as revolutionary as the launch of Texas Instruments’ DLP, as was debuted that year in the form of a new video projector with a fixed resolution and a groundbreaking new digital imaging system. Twenty years after that momentous debut, it’s fitting that we now induct the father of DLP, Larry Hornbeck of Texas Instruments, into the SCN Hall of Fame. They say that success has a thousand fathers, while failure is an orphan, and the story of DLP has many fathers (and very few failures), yet Hornbeck can indeed claim bragging rights on high order. Development of the DLP chip actually began in TI’s Central Research Laboratories in 1977, when Hornbeck first created “deformable mirrors” to manipulate light in an analog fashion. But the analog technology consistently fell short of expectations. It was not until 1987 that he invented the DMD, the breakthrough technology that would become known as the DLP chip. During the mid-1990s, TI established the DLP Cinema team, chartered to develop a digital projector that could match the quality of 35mm motion picture film. 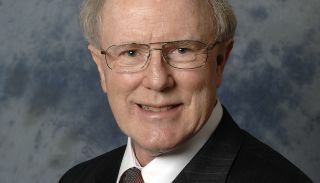 Hornbeck holds 38 U.S. patents, and his numerous other awards and honors include induction into the National Inventors Hall of Fame, the SMPTE 2002 David Sarnoff Medal Award, and a 1998 Emmy Engineering Award. He is also a member of the National Academy of Engineering and a Fellow of the SMPTE, IEEE, and SPIE.